The ruined aftermath of a bloody civil war. Ruthlessly fighting to survive, the Macbeths are propelled towards the crown by forces of elemental darkness. 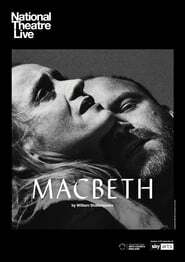 Shakespeare’s most intense and terrifying tragedy, directed by Rufus Norris (The Threepenny Opera, London Road), will see Rory Kinnear (Young Marx, Othello) and Anne-Marie Duff (Oil, Suffragette) return to the National Theatre to play Macbeth and Lady Macbeth. America, 1947. Despite hard choices and even harder knocks, Joe and Kate Keller are a success story. They have built a home, raised two sons and established a thriving business. But nothing lasts forever and their contented lives, already shadowed by the loss of their eldest boy to war, are about to shatter. With the return of a figure from the past, long buried truths are forced to the surface and the price of their American dream is laid bare. These pages are copyright ©FLIX Student Run Cinema 1947-2019. Please contact the webmaster for more information. All views expressed in these pages are those of FLIX Student Run Cinema, and are not neccessarily those of Loughborough University, or the Student's Union. All logos and trademarks are property of their respective organisations. This website uses the TMDb API but is not endorsed, or certified by TMDb. Use of this website is subject to our Terms & Conditions.